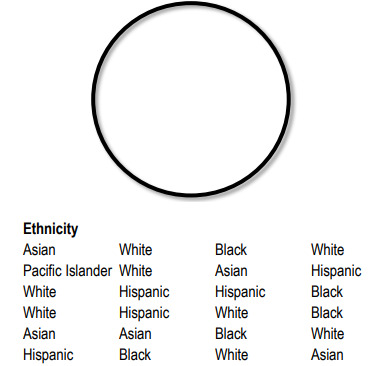 Practice: Below are the ethnicities of the students in a particular Statistics class. Determine the relative frequency ofeach of the ethnicities. Practice: Construct a pie chart to represent the data below. Join thousands of students and gain free access to 19 hours of Statistics videos that follow the topics your textbook covers.